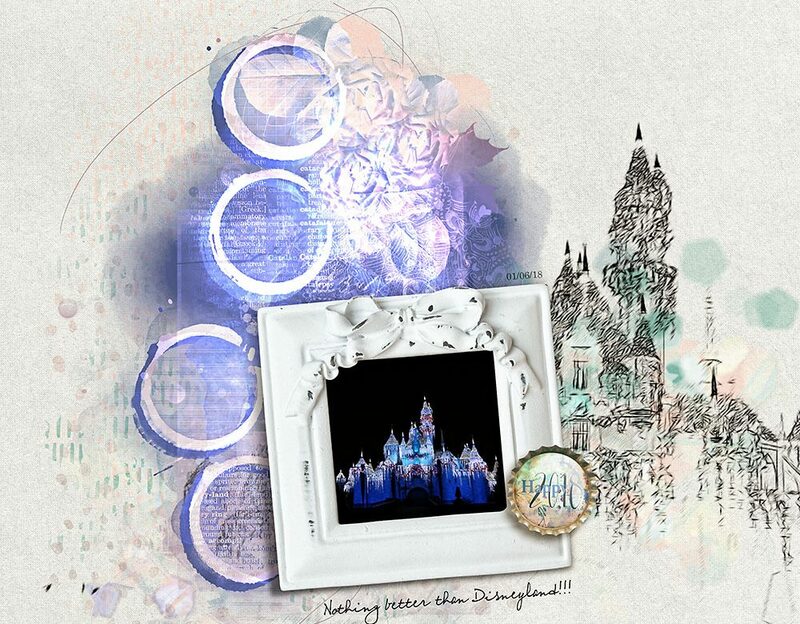 Hello 2018 Collection – Inspiration by Flor (aka twinsmomflor) Hi ladies Flor here with another layout of Nicole’s new collection Hello 2018. So fun to play this collection. I am in love with the Paint tools. You have traditional styles mixed with brushes it is huge. Don’t forget to watch Nicole’s video unpacking the collection, she brings up your creativity to the next level. 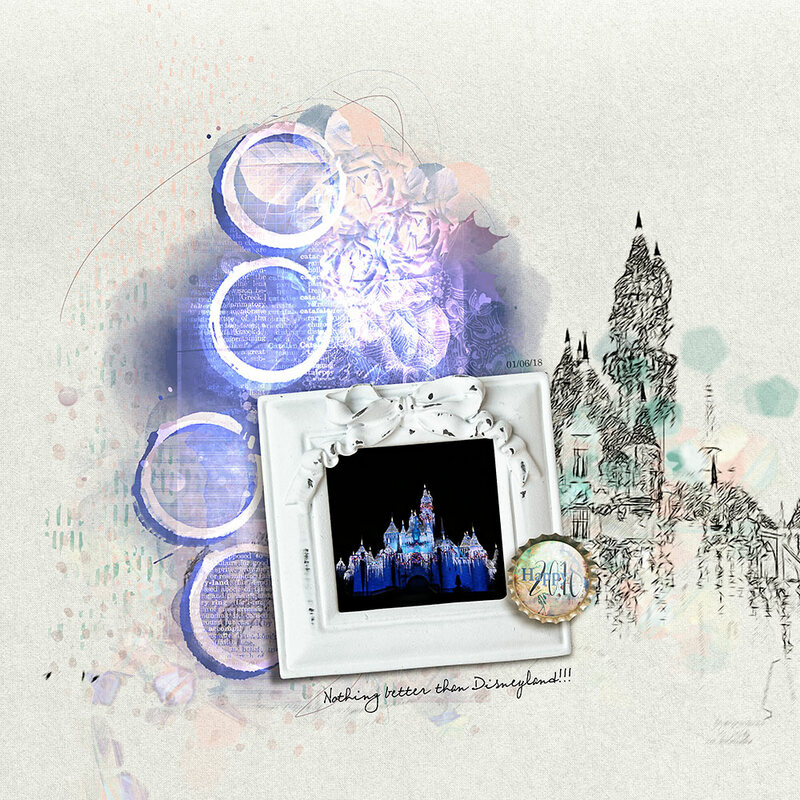 I had a great time at Disneyland, I used the cluster elements and cluster brushes and stamps around it. I also duplicated my photo and make it a sketch and blend it with the brushes.